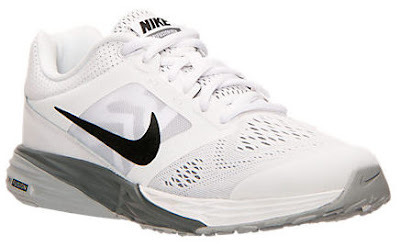 Men's Nike Tri Fusion Run Running Shoes - Only $49.98 + FREE Store Pickup! Check out these Men's Nike Tri Fusion Run Running Shoes at FinishLine.com for Only $49.98 + FREE Store Pickup (availability depends on area). Rack up the miles in the soft and supportive Nike Tri Fusion Running Shoes. Its tri-density midsole provides you with great foot support in the heel and forefoot for maximum comfort at all times. The expertly crafted groove pattern you're able to grip the terrain and dominate your run. The Nike Tri Fusion Running Shoe delivers an incredibly soft, smooth, transition to empower you to achieve your maximum mileage while making it look easy. The lateral midfoot strap and leather overlays provide structure and support for your perfect fit.